With our loyalty scheme you will be able to enjoy exclusive discounts and benefits. At RIU we never stop giving you good news, and we’re sure that this one will leave you speechless: we present the Riu Pool Party the new entertainment proposition we’ve introduced at the Riu Santa Fe that will let all our adult guests enjoy authentic theme parties with the help of our animation team. Colours, lights, the best live music thanks to our great DJs and animation staff come together for a show that you’ll enjoy courtesy of RIU. On Mondays night, we kick off the week with the White Party, which will transport you to the Ancient Greece with the best music of 70s, 80s and 90s. On Tuesdays, the party continues with the Jungle Party, where you’ll feel as if you’re in the heart of the jungle thanks to the very special atmosphere and dance to the beat of the best Latin House, Electropop and Reggaeton House Mix. Friday nights we come back even stronger with the Neon Party, where you’ll enjoy unique and amazing shows full of fluorescent lights and accompanied by the best Hip Hop and Deep House music. On Saturdays we close the week with the Pink Party, where everything takes on a pink tinge to create the best atmosphere in a party where the dancers seem like real pop stars. Meanwhile, you’ll be listening to the best Trip Hop, Hip Hop and Funky House songs. These special events will be held at the Riu Santa Fe, but they’re open to all our guests at our hotels in Los Cabos: the Hotel Riu Palace Cabo San Lucas and the Riu Palace Baja California, scheduled to open this December. The area also has a swim-up bar, new poolside bar and snack bar. Having unique shows close by while enjoying the best RIU Hotels service is within your reach: you just have to make a booking at one of our hotels in Los Cabos and come ready to enjoy the new Riu Pool Party experience. We’re waiting for you! Share the post "Discover the new Riu Pool Party theme parties at the Riu Santa Fe"
Hello, I was wondering what time the pool parties start and end? The times of the Riu Pool Party depends on hotel. You can contact directly whit the hotel that you are interesting. Do you do foam parties? Some riu pool parties have the foam celebration. Love RIU Santa Fe! Wish this was happening in Oct. Returning for the 4th year in a row to celebrate my birthday. Hope you do this parties at Riu Cancun, I will visit you on August at Cancun, so I hope to be hosting one of this parties when I go to Cancun!! It could be something amazing!! Greetings!! Looks like a great time, can’t wait for this to reach other locations outside of Mexico. Thanks for your comment 🙂 Unfortunately, this concept is only at the Riu Santa Fe… at the moment. Can my 16 and 17 year olds go to theme parties? Unfortunately, the new Riu Pool Parties are for adults only. Always a good time at the Riu resorts. This is just one more bonus for staying at a Riu. Unfortunately I have already booked another hotel for my bachelorette party not knowing about you guys 🙁 Is there any possible way to buy tickets or are we out of luck? What are the hours for the pool parties?? what pool area is this party in.. We always stay in Villa 3 facing the pool. I want to be sure this party is not now going to be in the Quiet Pool Area. Omg! Im so excited. I will be there for my birthday on 7/30/18!!!! I hope you guys can do something special for me!! What date do the parties continue until? We will be there 8/9-8/14! I hope they will still be going on! Looks fun! Will you provide transportation for the Baja California Guest? Have there been any changes for each pool party theme and or time? Some Instagram post have days mixed up from the above info, for example- that the jungle party is Monday during the day, white party is Wednesday night, pink party Friday night and the neon party is Saturday during the day. I just wanted to check, as a group of us will be coming down at the end of October and want to plan other activities around the pool parties. This will be our first time staying at Riu and we can NOT wait!!! Thank you for your time! There may have been changes during a week, but we kindly reccomend you to contact directly with the hotel via hotel.santafe@riu.com. We will be there Sept 2-9th and can’t wait! What time do the parties start? It depends on the party! Currentlye, the Jungle Party and the Pink Party start at 14:00. On the other hand, the Neon Party and the White Party start at 19:00. Anyone Going the end of Sept ? RIU will the pool parties still go on in September/October ? And also what 3 restaurants do you recommend at Palace ? Will this continue through the end of December? Be there about a month!! Can’t wait! We will celebrate my husband’s birthday!! Hope you have sparkling wine? If I am not staying at the RIU, can I pay an entrance fee to attend these parties? This service is exclusive to the Riu customers. everyone is so friendly and service is the best. cant wait for this new pool party. Many thanks for your comment!It will be a pleasure to having you here again! Estoy a llegar RIU! Muy en Breve! Vamos de Luna de Miel! Muchas gracias por compartir con nosotros tu ilusión. Esperamos que disfrutéis de vuestro viaje ¡nos vemos pronto! Are the drinks inclusive since it is part of RUI? Also off topic but are the plugs in the hotels compatible with US ? The drinks are included at the Riu Pool Party because it belongs to all-inclusive package. The current is 110V, so it should be compatible with the US plugs. To be sure, please contact with the hotel. With the Riu Class Program, as a reward for your loyalty you’ll receive a card that identifies you as a preferential guest. Enrol in the Riu Class Program and start enjoying exclusive benefits and discounts today. 11 September, 2018Our third hotel in Boa Vista is on the way: discover the Riu Palace Boavista! Visit Riu Hotels and Resorts's profile on Pinterest. Why choose RIU Hotels & Resorts? RIU Hotels & Resorts is a hotel chain that was born in 1953 with a small hotel in Playa de Palma, Spain. Our more than 60 years of experience pampering our customers in the world’s best destinations attest to the mission of the company: the well-being of our guests. We work day after day to continue offering the best facilities and exclusive services in the nearly 90 hotels located in 19 countries. All of them, moreover, with a guarantee of quality and a standard of service that will make your holiday a truly unique experience. Continue browsing and discover the best of RIU Hotels & Resorts! Our purpose regarding data protection and information society services is to protect and preserve the privacy of your personal data pursuant to the General Data Protection Regulation GDPR 2016/679, in the countries where Riu Hotels is present and provides its services with the guidelines and internal policies. The following conditions are applicable for RIU Hotels & Resorts services, including those offered on this website and on all of RIU Hotels’ sites and mobile applications, as well as for those services offered at our hotels. In order to exercise your rights in the case of hotels managed indirectly, you must contact them directly; however, if you do not receive an appropriate response we will provide our help to resolve any differences of opinion, as long as those hotels have a working relationship with RIU Hotels & Resorts. If after reading these conditions you have any doubts regarding them or the privacy of your personal data, please send an email to privacy@riu.com or a letter to the address above. In accordance with the provisions of the laws in the countries in which we operate, we would like to inform users of this website, as well as any people who have provided personal information to any company associated with the RIU Hotels & Resorts brand, or to other services which we offer directly or indirectly, that this personal data is processed for the purposes of providing the services you have selected. Under no circumstances will your data be passed on to other companies for any other purpose without you being duly informed. A-Processing and purpose of the personal data. The purpose of the collection and processing of the personal data supplied by users via this website, at our hotels, or through our central services or indirectly associated third parties in order to fulfill our obligations, is available, in updated written form, in our internal information security policy. In most cases, this will correspond to identification details: first name, last name, address, telephone number, email address, data for processing payments or other specific information depending on the processing and purpose. RIU Hotels & Resorts is pleased to inform its customers that it has adopted the required technical and organisational measures set forth in the regulatory framework which guarantee the security of personal data and prevent its unauthorised modification, loss, processing or access, taking into account the condition of the technology, nature of the data stored and the risks to which they are exposed. All of this is in accordance with the minimum provisions set forth in the various legislations of the countries in which RIU Hotels & Resorts has a presence. By providing their details to RIU Hotels & Resorts or to any company associated to RIU Hotels & Resorts, the users indicate their explicit acceptance of these policies, conditions and regulations of use, granting unequivocal consent for the processing of their personal data according to the purposes set forth herein. They also accept that their data may be transferred to relevant entities for fulfilment of the obligations pursuant to the service requested, exclusively for the reserved purposes, and guaranteeing they will not under any other circumstances be transferred to third parties for any other purpose, without the additional consent of the owner. By legal obligation and to ensure collaboration with the Authorities, the data may be provided to public bodies which require it. In these cases, it is specified that the minimum information required will be provided for the corresponding legal compliance, protecting the rest of the data with the utmost rigour. When you use our online booking process in riu.com details of any hotel that you seek to reserve and your email address may be collected as you fill in the reservation process. If you do not complete your purchase, we may contact you using these details to offer our assistance (in case, for instance, you were suffering from technical difficulties). In the event that we contact you to offer you our assistance to complete your reservation process, you may exercise your rights to revocation of consent. To meet our obligations to you, as well as those legally provided for, it is not required to have your express consent in the transfer of data, however this website offers you information on all aspects which may affect you, and your ability to exercise your rights. The owner may exercise their rights to access, correction, erasure and opposition, as well as withdraw their registration for the services of RIU Hotels & Resorts and the establishments it manages directly. In addition, users may, at any time, withdraw the consent they have granted for the processing of their data, without the right to apply retroactive withdrawal. G.- Relating to employment and specific to CVs. 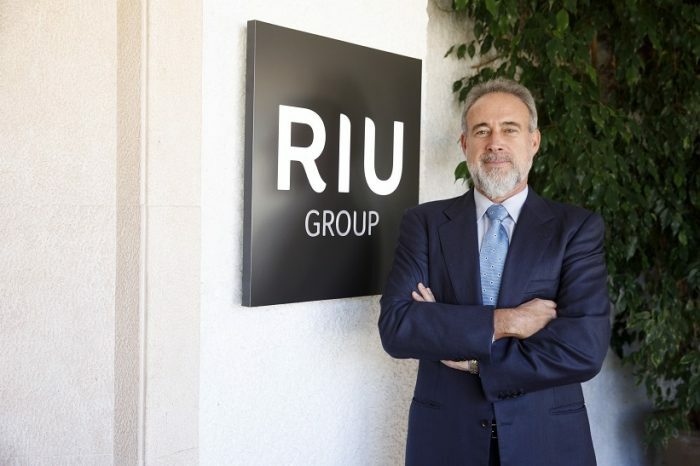 By completing an employment request, sending or submitting a CV to any company related to RIU Hotels & Resorts, the candidate does so to the companies of the RIU Hotels & Resorts group in the country in question, as well as to the head office of RIU Hotels & Resorts, through the company RIU Hotels & Resorts for the purposes of candidate assessment. RIU Hotels & Resorts complies with the applicable legal regulations on data protection and puts in place security measures and procedures for this purpose, taking into account the condition of the technology. This is in accordance with the provisions of the laws of the various countries. According to the provisions, candidates are informed that the personal data provided, including CV information, will be included in a file registered with the Spanish Agency for Data Protection, the owner of which is RIU Hotels & Resorts. Any data provided or submitted is collected by RIU Hotels & Resorts for the purposes of managing its selection database. Each owner gives their acceptance and authorisation for the processing of the personal data provided to our HR selection database, as well as the unequivocal processing or transfer of information for the purposes explicitly stated to all companies of the RIU Hotels & Resorts group. The owner of the same may withdraw the consent granted at any time, without the right to apply retroactive withdrawal. RIU Hotels & Resorts informs owners that they may exercise their rights to access, correction, erasure and opposition, by notification in writing to the RIU Hotels & Resorts personal data controller. In bookings for services made on this website, any personal data provided will become part of RIU Hotels & Resorts and of the marketing company for the hotel, details of which will appear on the voucher, proforma invoice or bill attached (if the booking is not made or confirmed, data will not be retained except that required for strict security purposes, to ensure successful operation of the electronic business). The processing of personal data, as well as the sending of commercial notifications carried out via electronic means, is done in compliance with those Laws related to e-commerce and the Internet, and follows international standards and good practice, based on the general regulations of European privacy directives. Our notifications to promote and advertise our hotels and services must always provide an address by which it is possible to unsubscribe from the service that has provided the information, via a link to a website or the email address that sent the notification, and the user’s email address will be unsubscribed; if any problem arises, we would be grateful if you could contact us at privacy@riu.com . In the case of subscription to newsletters, news bulletins or similar on our website, your data will become part of RIU Hotels & Resorts In accordance with the regulations in place, the information may be transferred to national or international third party companies directly related to the provision of the service for which we have been hired, as well as to local or international data controllers which comply with European Union directives. RIU Hotels & Resorts will not try to obtain information directly from minors, although we are not always able to determine the age of those who access our website. In any case, when this is detected on both the website and in our establishments, authorisation from the parents or legal guardians of the same will be required. Accessing or using the website implies that you accept the cookies sent by Riu Hotels & Resorts and third party advertisers. You will find here the tools needed to configure your browser. A.1 Types of cookies used by Riu Hotels & Resorts. We use different types of cookies on our website. Some are strictly necessary because they enable us to provide some of our web services and guarantee security (for example, this technology allows you to make a booking on our site). We also use functionality and performance cookies. These allow us to tailor our site to your needs and to improve our performance to maximise your experience of the site. To gather statistics using anonymous information. To improve our performance (by identifying how long it takes for the information to reach you, etc. To identify individual users that have signed up for a campaign in order give them the services included in the offer. To save the browsing habits of regular site users in order to facilitate browsing and other aspects of our services. Our cookies never contain personal information. You can view, remove or manage cookies stored on your computer or communication device and also block cookies sent by Riu or its partners, or by any other website. You can configure your browser to only accept cookies from the site you are visiting, or to block cookies from third party advertisers. Please bear in mind that blocking certain cookies could affect the quality of your experience on our site. You can also visit www.allaboutcookies.org or www.aboutcookies.org. These sites clearly explain how cookies work and how you can manage them on your particular communication device and browser. You can manage advertising cookies on websites such as www.youronlinechoices.com, which enables you to set your general preferences regarding cookies from leading Internet advertisers. A.3. Third parties embedded content on our pages . Riu uses content such as photos and videos from websites such as YouTube and Flickr, and these sites may require cookies. In these cases, we cannot control how these are sent. Please go to the privacy and cookies policies of these third party websites to read more about their cookies and how to manage them. We and our data processors may use Web Beacons and Pixel Tags in emails and HTML pages. These systems do not gather personal information other than that provided by you when you make a booking on the RIU Hotels & Resorts site. These mechanisms show us whether you have read a particular email or webpage, and allow us to track and gather statistics on the information accessed. Web Beacons and Pixel Tags will not work if you set your browser or email application to block cookies. Information about your IP address, language preferences, browser and other data related to your Internet connection or connection method/application, whether you can receive information in HTML format, and any other non-personal information supplied by the application you use to connect to the Internet. Please note that we will register information concerning Internet or email connections in order to troubleshoot any problems that may arise, improve our performance and services, and manage security issues.